This day of management is geared towards the independant Bride whom needs full day coverage, the day of the event. If you need assistnace with vendor managment, checklist, budget managment as the date is approaching, this option will meet your last minute needs. Budget assistance and vendor referrals are avaiable if needed to book final services. Having a last minute change in plans and need extra hands? 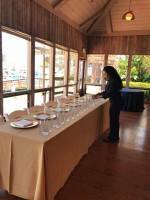 I can provide addtional service staff for clean up, bussing, servers for buffet, or even assist vendors with minimal tasks. Boutquets, Boutineers, Simple Centerpiece arrangements needed? I also do minimal design. Ceremony rehearsal is included in all coordinating options along with a custom ceremony and reception timeline. Kanani whom goes by Nani, started her event management and coordinating experience as a Special Events Coordinator at One of the largest Wedding/Conference Centers in San Diego. 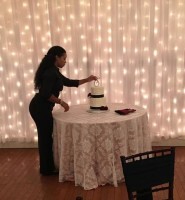 After years experience with Weddings and Special events from a venue standpoint, the need for a coordinator was one problem for clients she wanted to help resolve. 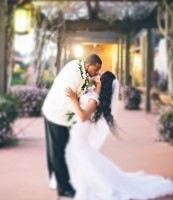 Once discovering the love for weddings, people, and event coordinating, Nani Events was born May of 2009. "I remember in my earlier years: attending a wedding and watching the Bride and Groom set up with little time to relax before walking down the aisle. The family members and close friends would assist the bride in cleaning afterward for hours! It was then I decided I would never sit and watch this happen again." When I'm getting hair and make-up done, whom will set-up/check the ceremony site? When it's time to walk down the aisle, whom will place the runner? Do the flower girls have flower petals in their baskets? Did the vendors arrive? On time? 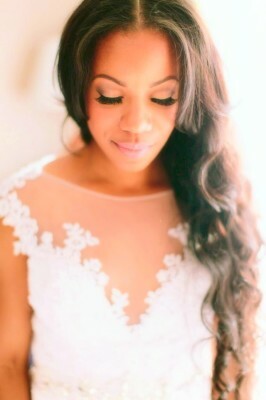 This is just the beginning.... Let me help you make your special day stress free! This is a mobile service in the Greater San Diego area. Having a Day of Coordinator will allow you to be a guest at your own wedding. On the most important day of your life, the most important people in your life should embrace every moment stress-free.